These clever moms have used water and a few other simple materials to help their kids create beautiful art. These posts are great examples of how fun and learning can take place without anything fancy. 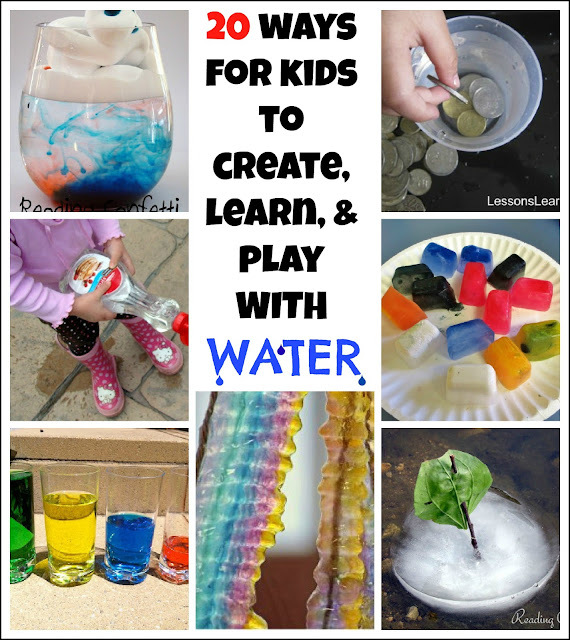 I love these ideas for educational ways to have fun with water. Love the water theme! So many great ideas to try. Thanks for sharing our candy heart science! Thanks for featuring our Colorful Icicles! Great round up! Thanks for the water ideas round up! I love all of these ideas! Thanks for featuring our ice cube color mixing activity.